On the last day of the year, I try to post a set of mosaics of what I finished over the year, and reflect a bit. If you want to read more about any of the quilts, check out the My Quilts page and click the name to go to the blog post about it. 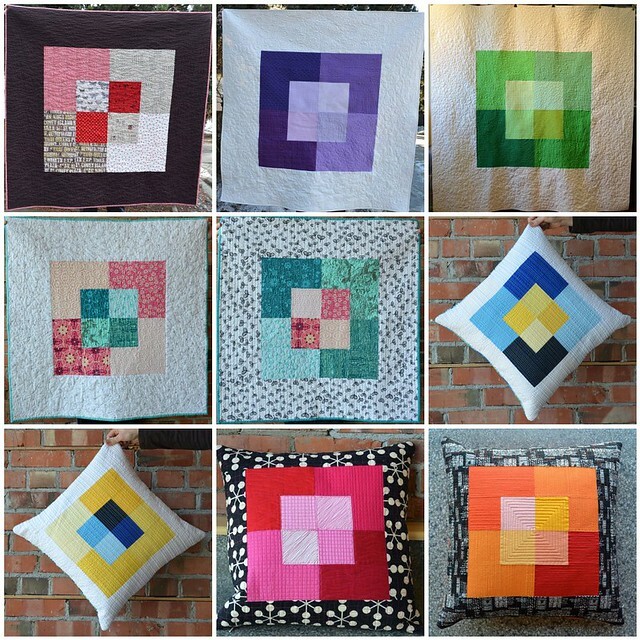 That first mosaic is of the quilts and pillows I made using my Canvas Pattern. Publishing this first pattern was a steep learning curve in terms of writing patterns, learning Adobe Illustrator, and overall branding, and I was fortunate to be able to draw on talented friends for help. The pattern has been far more successful than I imagined. And, as you can see, I personally love making it. This mosaic is of quilts I made and that I plan to write patterns for as well. Pattern writing is a big goal of mine for 2015. Halcyon, #3 and 4 in the mosaic, was published already in the summer edition of Fat Quarterly, so making my own version should be relatively fast. I have to say that I have a few more patterns in my head too, and I hope to get time to make those quilts and write those patterns too. These first two mosaics also remind me that I love working in series, making the same or a similar quilt out of a design I have dreamed up, more than once. 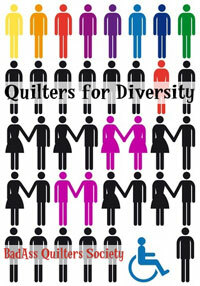 I am always surprised when quilters say they will never make the same quilt twice, as there is so much to explore in one design concept or even one pattern - no two quilts end up being the same. I hope to explore the Cycles series more this year and also to start at least one more of the series ideas in my head. This mosaic has the rest of the baby and larger quilts I completed in 2014. I loved making #1, All the Colours, using Krista's (Poppyprint) Chess on the Steps pattern, released as the September Modern Quilt Guild pattern of the month. #2, Reflection, uses Linda's Blended Scraps Block (tutorial here) and I have another on the go. 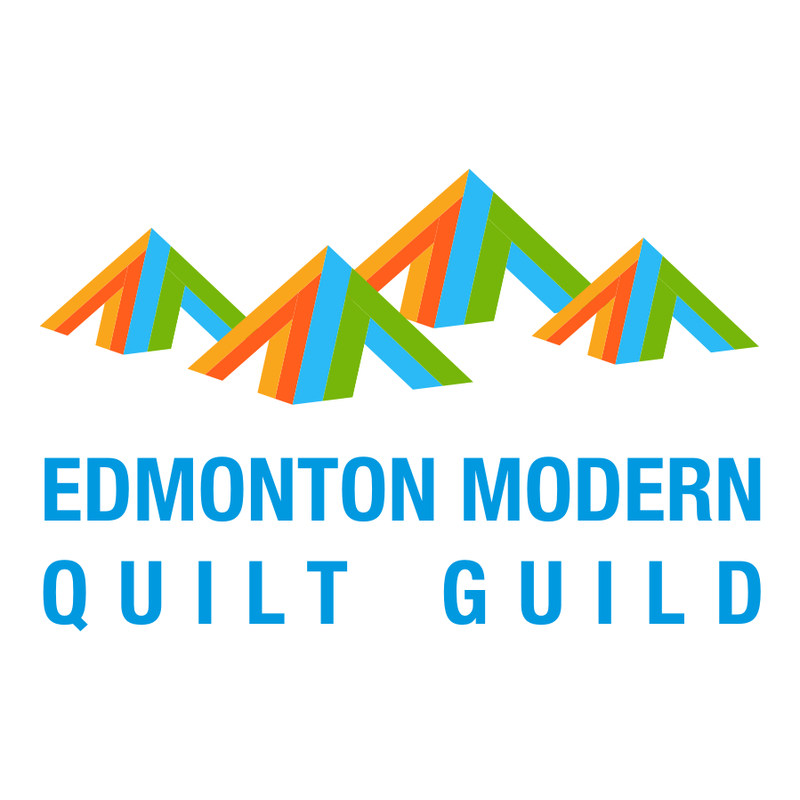 #3, Triangle City, and #4, Pointed, were made as part of the Modern Quilt Guild Fabric Challenges. #5, Friends, was made from blocks made for me by my bee mates in the Modern Stitching Bee. 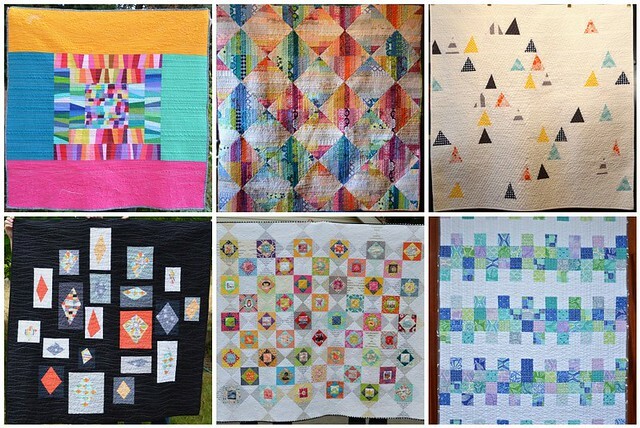 I only made 4 mini quilts in 2014. #1, Landmarks 2, is travelling across Canada with the Canadian Quilter's Association It's Time for Colour Exhibit. If you wanted to buy her, you can do that here. I should also mention that in 2014 I entered many large Quilt shows and even won ribbons. 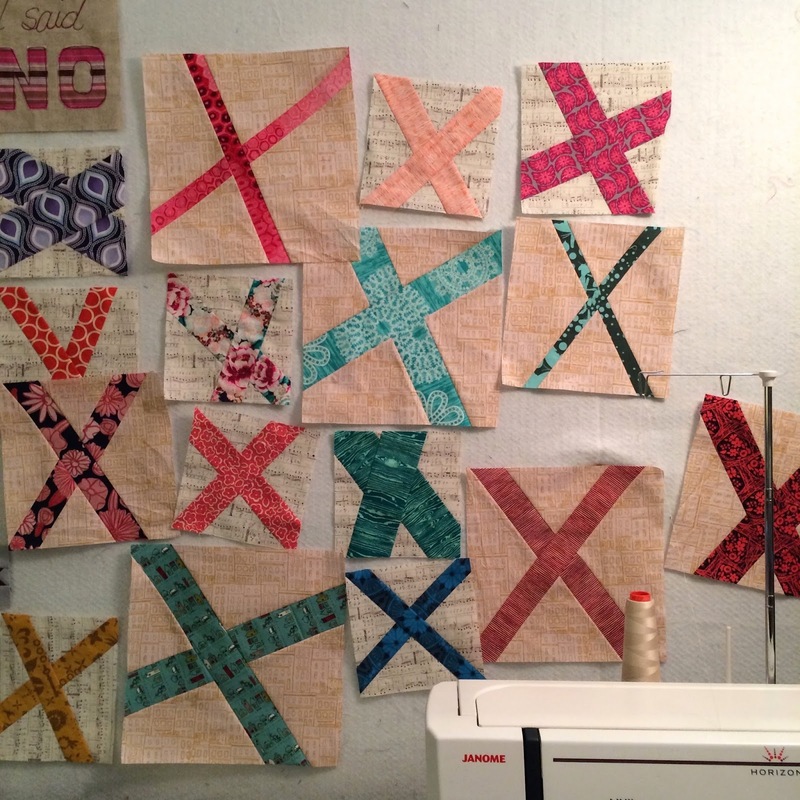 I'll do a recap post about some quilting milestones I reached in 2014 tomorrow, there is more than enough already in this post. Here are the rest of my finishes. I added at the bottom a photo of my APQS Millennium Long Arm Quilting Machine, which I got in February. I have so much more to learn but am so loving her. 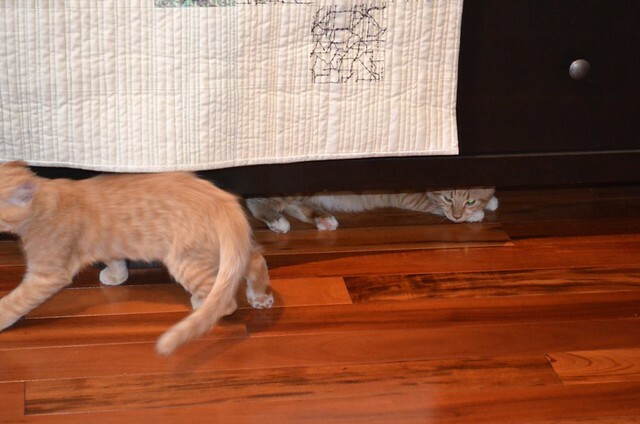 And lastly the new kittens, Sundance and Butch, who are keeping us laughing. I left out my bee blocks, and all the started but not yet finished projects. So, I am very pleased with how 2014 went: 19 finished quilts, 4 mini quilts, 6 pillows (all in regular use) and few other things - but a big focus on making quilts, which is what I had planned. Generally, for me 2014 has been a year of focus and of being grounded in now, of being present, solving the problems of this moment, and also enjoying this lovely hobby. 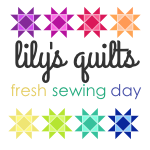 I'm linking up with Lynne at Lily's Quilts. Although this is a recap of more than just December, I'm sure that's ok as I have missed a few months of linking up this fall. I see 2015 to be shaping up for me as a year of change and high energy - and of growth. We shall all just have to see what develops, I will try to maintain the focus as I go. A very happy New Year to you and yours and all the best for 2015! I'm so happy to show you a finished quilt today. I named her And. And - for what comes next, what is added on, plus. She is about 60" square - that was the measurement before I washed and dried her, and all but two of the photos here are after washing. 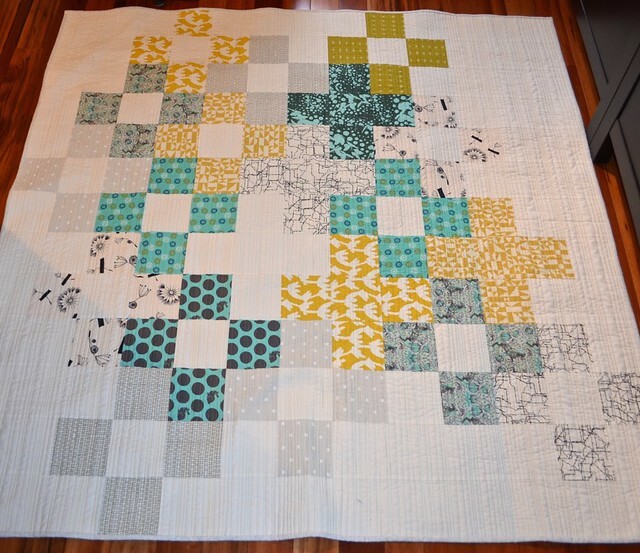 I made this quilt with the left over pieces - after I made another quilt top that is not yet finished into a quilt - of the fat quarter blogger's bundle that I curated at Fabric Spark. 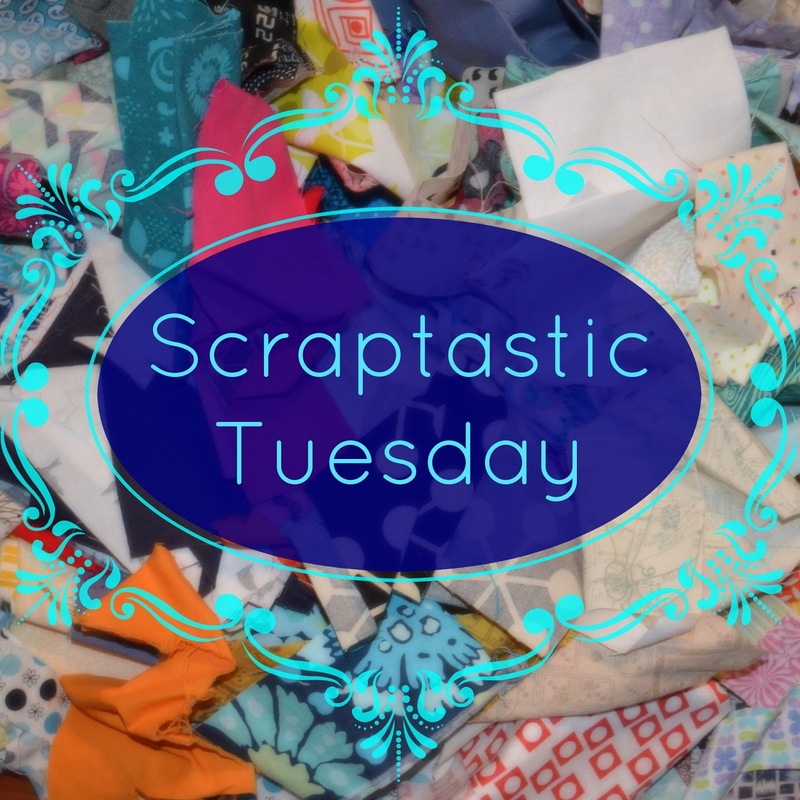 So I'm calling this a scrappy project for Scraptastic Tuesday, too. I'm not sure if Nicky has anything scrappy to share over the holidays, but do check her out. In fact, it was the lack of large chunks of left over fabric that led me to the idea of leaving the centre of some of the giant pluses blank, also led to the less cluttered layout. I am now convinced that there is room for another giant plus pattern out there, with this layout, so watch for it here soon. In fact, I am hoping to use some of my time this week to write up a couple of patterns. 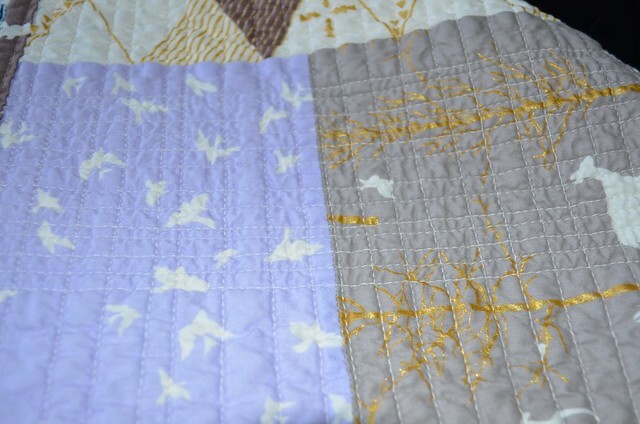 I love how the lighter grey and low volume fabrics work in this quilt, a very subtle colour scheme which I just love. As this quilt is for a friend, I used my most favourite quilting - well except for matchstick quilting - straightish lines randomly spaced in different colours of thread. I used Aurifil 50 wt 100% cotton thread in yellows and aquas. The different thread colours add yet another subtle point of interest to the quilt, changing the warmth of the fabric colours, especially on the background Kona Snow. 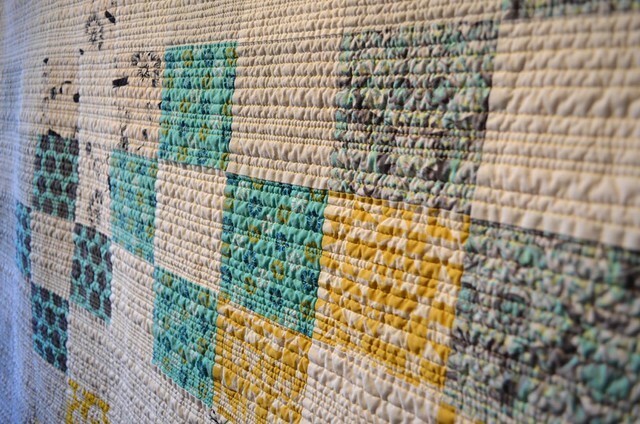 Although I used my long arm to quilt it, this quilting and effect are easily achieved on a home machine using a walking foot. Every time I set out to quilt these lines, I feel like I am somehow taking the easy way out, yet when the quilt is done, I just love it. That photo above was taken in darker lighting so you can see the crinkle from both the quilting and the washing even more. I used one layer of a 100% cotton Quilter's Dream batting for this quilt. I have batting on the brain as I have run out, ordered a new roll, and am waiting, a bit impatiently, for it to arrive - very poor planning on my part, that. 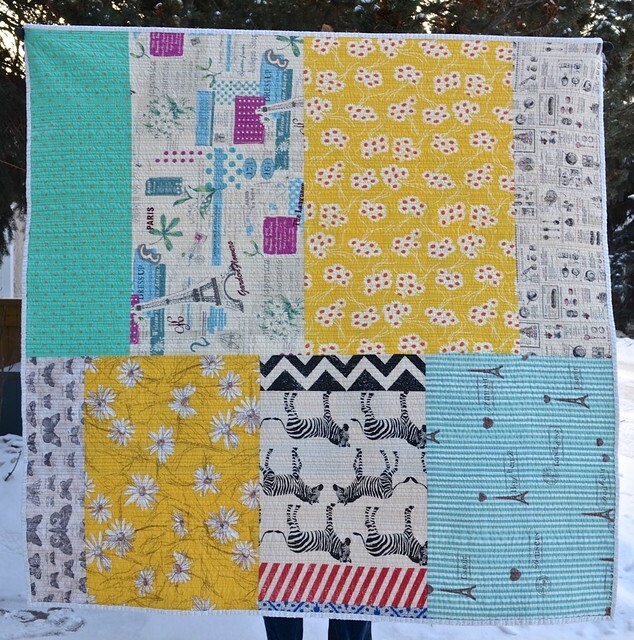 For her back, I picked several of my favourite prints and pieced width of fabric chunks. I have grown more and more fond of these large pieces of special fabrics on the backs of my quilts. They come together relatively fast, are specially chosen for the quilt, and give interest without competing with the front too much. Here is a photo of And before I washed her. You can see the difference that the wash and drying makes to the crinkle. What you cannot see is that the drape also changes dramatically. With this many quilting lines, the quilt becomes fairly stiff but the wash just removes the stiffness completely. 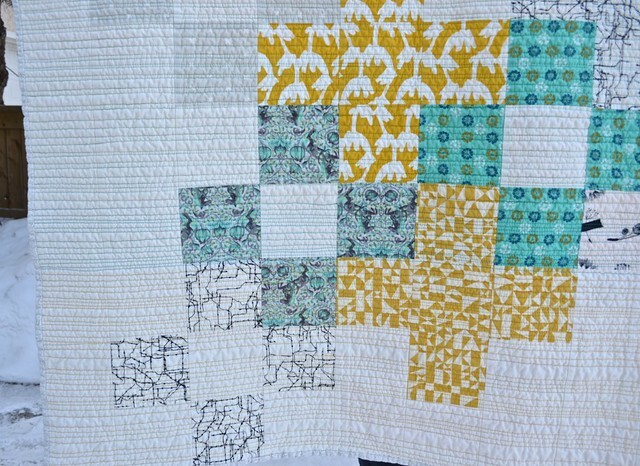 Also you will see that this quilt truly has no real top side, all orientations look good. It's also time for me to show off the kittens again. They are now about 5 - 5.5 months old, their date of birth is a bit of a guess. That one above is Butch. He has the mittens and is noticeably larger than his brother. 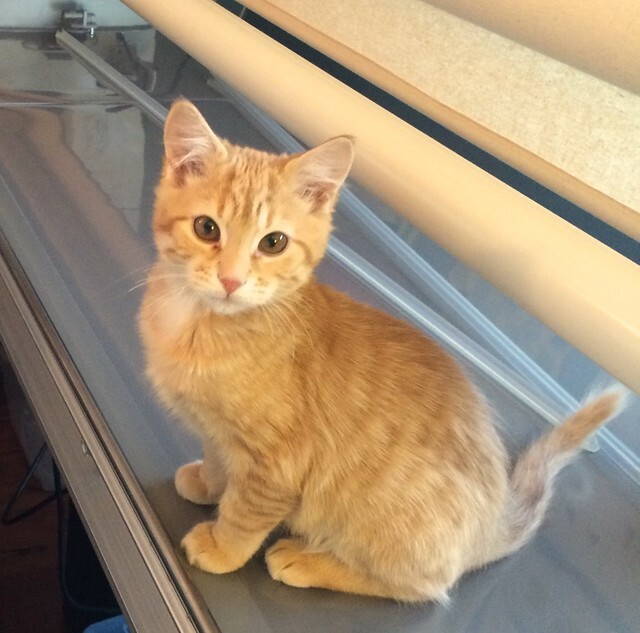 Here is Sundance. 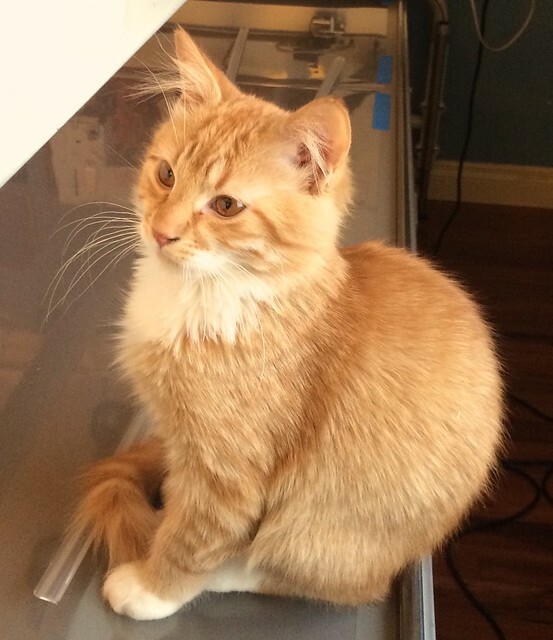 He was the runt of the litter and has just started to look more like a teenage kitten than a baby. 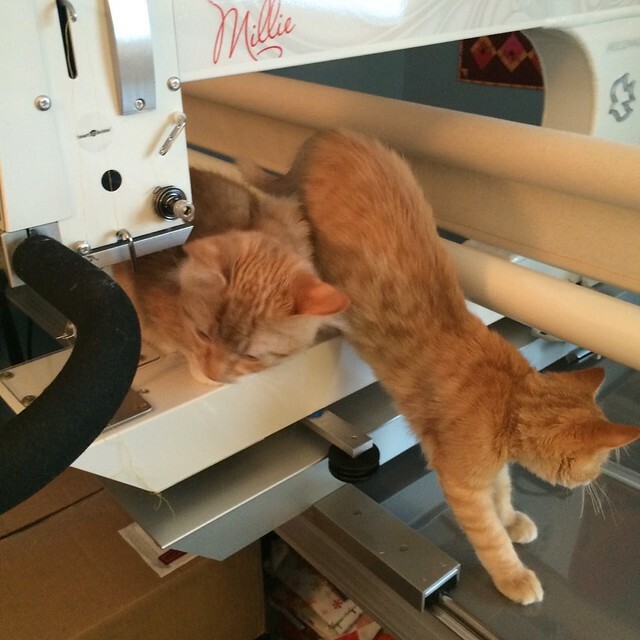 They are curious and are becoming quilting cats. They do photo bomb too (that is another before washing corner of And). It is very hard to get nice photos of these two when they are awake as they are on the move all the time. This is how they often look. 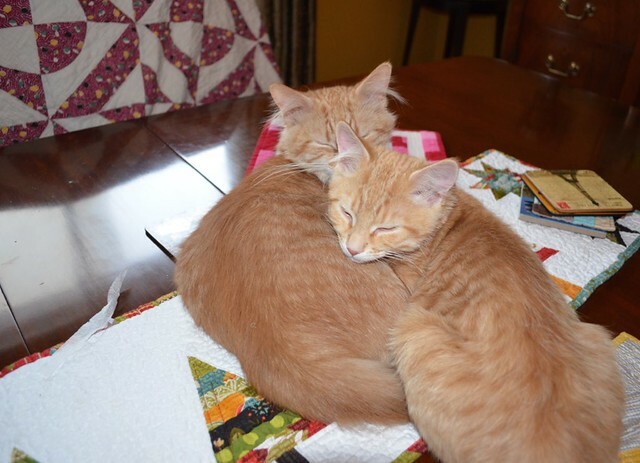 I was not thrilled to see them on the dining room table but who can resist this cuteness. By the way, that quilt drying on the chairs was made by my spouse's grandmother for his mom. I need to show it off properly here one day soon. Well, tomorrow I plan to post my 2014 round up and get my Q4 FAL finishes organized too. I hope you are enjoying the holidays, I sure am. 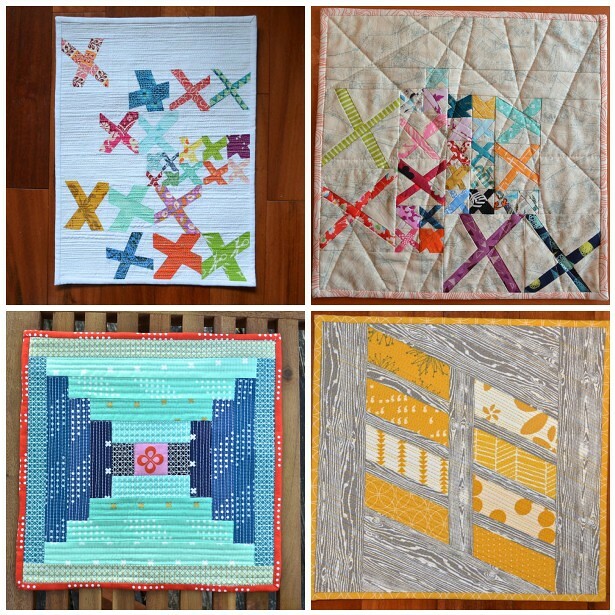 Its not too late to join the Fat Quarter Shop's Snapshots Quilt Along. There is more information here. A new adorable novelty block will be released on the 15th of each month. Massdrop has a year end bazaar of those bits and pieces left over from past drops. This weekend Green Fairy Quilts has a huge final year end sale so that they can make room for next year's stock. There is everyday free shipping in the US and go here for the codes for free shipping on larger orders to the rest of the world. 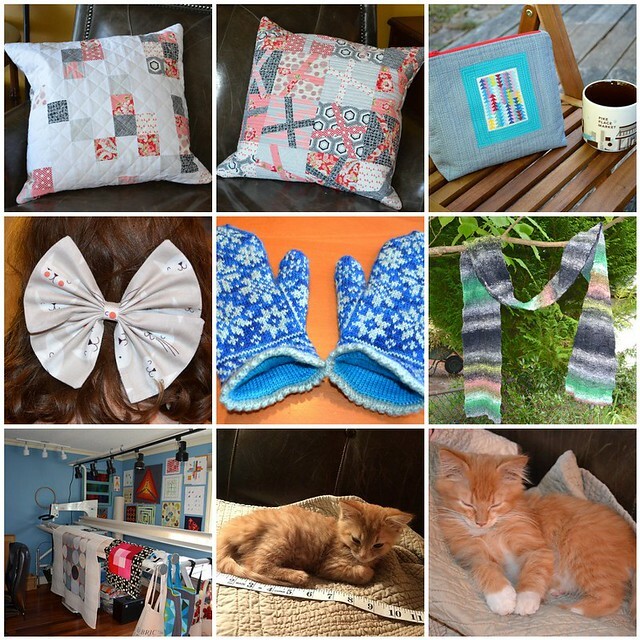 Mad about Patchwork is having a their annual year end 12 Days of Christmas sale through January 6, 2015. Go here for the huge selection and use the code 12DAYS at checkout for 20% off. Oakshott Fabrics is featuring 20% off all fabrics as a thank you to their customers. Orders must be in before January 5, 2015. Also, if you are ordering larger quantities, go here for the free shipping codes, there is code for free shipping, again up until January 5, 2015, for almost anywhere in the world. Fabric Spark has a free mystery fat quarter event on until December 31, 2014. 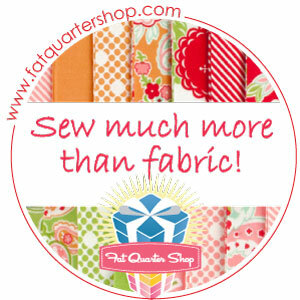 Every order of 1 yard or more will include a free mystery fat quarter. And Daryl has a huge selection of markdowns too. 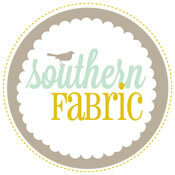 Southern Fabric has a large sale selection right now. The sale section at Fluffy Sheep Quilting is here and continues to expand. Becca over at Sew me a Song has a large sale selection here. Sew Sisters Quilt Shop is taking a well deserved break, although you can place orders while they are away. I have more guests arriving in a bit, and it's a beautiful day. I hope it is at your house too. I wish for each of you, your family and friends, a lovely holiday, no matter what you celebrate at this time of year, and even if you do not. 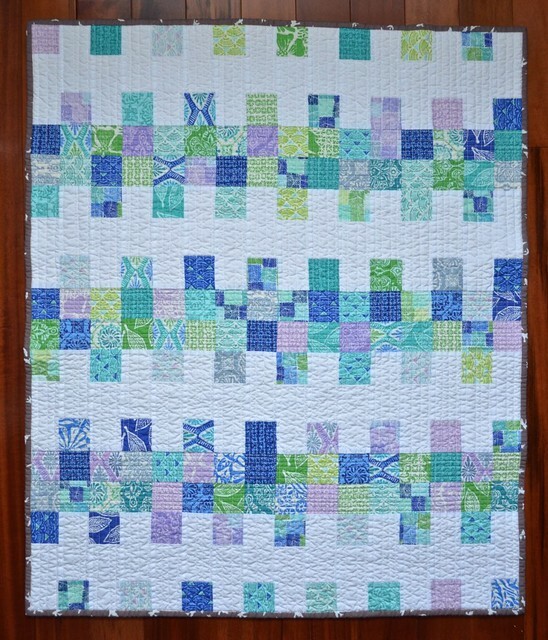 Today I get to show off this beautiful little crib quilt I made using the Fat Quarter Shop's free Mini Charm Mix Pattern. The Fat Quarter Shop has not only put together a lovely free pattern - you can also watch this video where Kimberly gives you the quick and easy instructions. I decided to make the crib size - the pattern also gives you instructions for a table runner and a lap size quilt. Lately there seem to be more and more babies arriving around me and a crib size quilt will be a perfect gift for one of them. 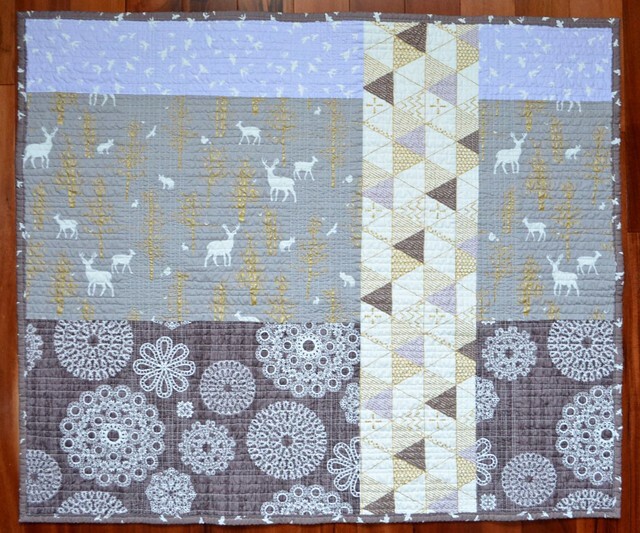 I chose to make the top with Horizon by Kate Spain and Kona White. My version of the crib quilt, after a good wash and dry, is about 30" by 35". I quilted this quilt with unevenly spaced straight lines. First I stitched all over lines in one direction. Then I took the quilt off my long arm and turned it so that I could quilt lines perpendicular to the first set. Of course, perpendicular straight line quilting is even easier to do on a domestic machine with a walking foot. 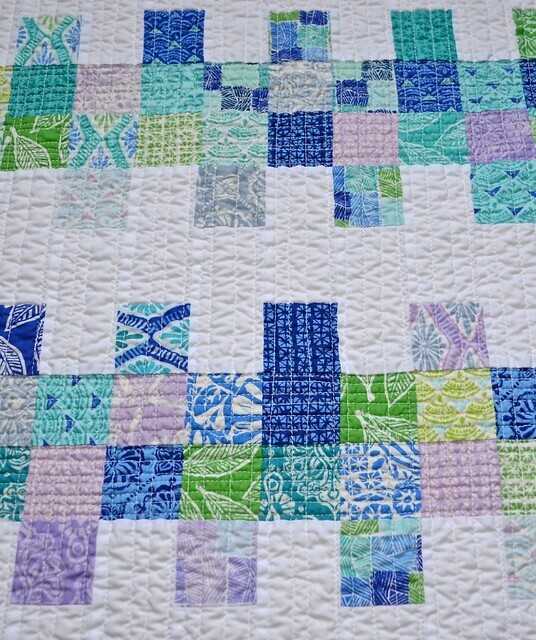 Those additional lines were quilted only in the area where the feature mini-charm squares run. 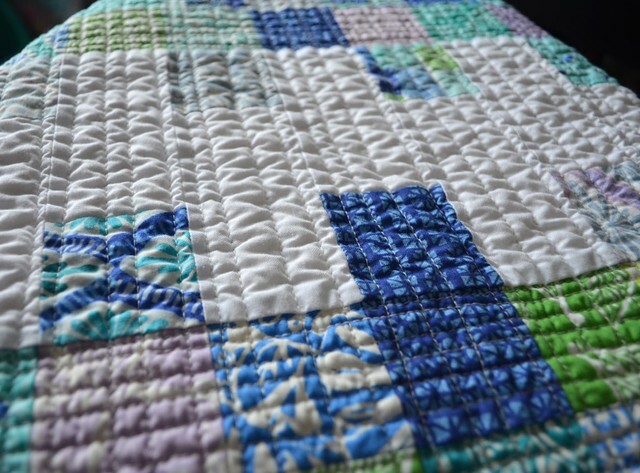 After a wash and dry, this quilting gives the quilt beautiful texture. You can see the quilting effect well on the back. I used some beautiful prints from Violet Craft's Brambleberry Ridge for the back. There is the whole back. It was my hope to make this quilt suitable for a baby of either gender. After a lot of auditioning, I decided on another Brambleberry Ridge print for the binding, which I machine stitched in place. 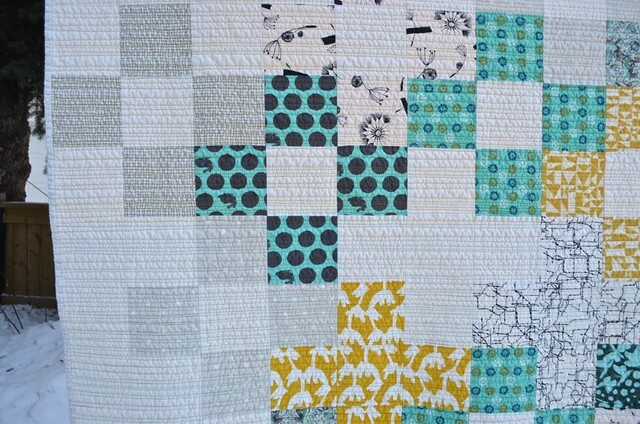 This crib quilt was fun and easy to make and the pattern is a great way to use mini charm packs. You could easily use mini-charms from more than one line of fabrics too, for even more variety in the prints. Or there are kits available at the Fat Quarter Shop too. 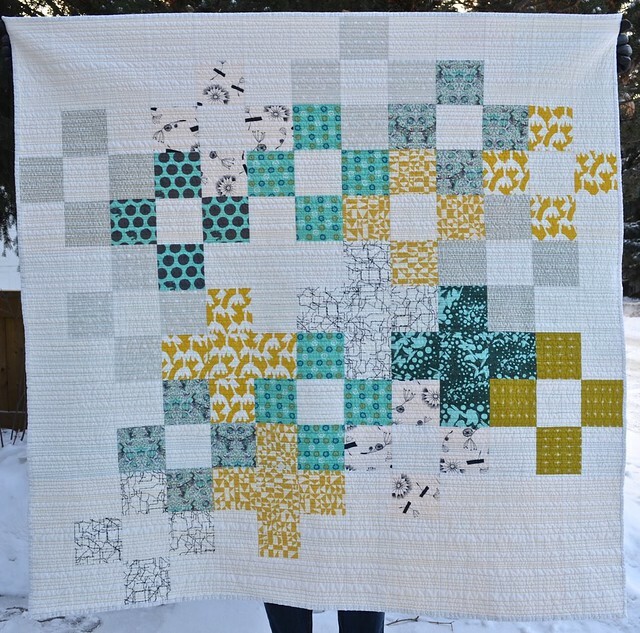 Thank you to the Fat Quarter Shop for including me in the blog hop for this new free short cut quilt pattern. 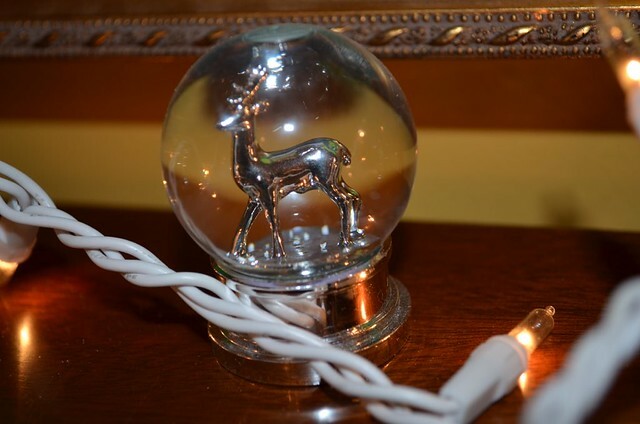 Today, I am reposting my if you're shopping.... Friday posts from two weeks ago. This post tells you a bit about my sponsors and is a thank you to them for their support this year. I'll be back with regular posts on the Friday after New Years. If you or a loved one is shopping this week for fabric or notions, all my sponsors have sales and countdowns and such so do check them out. The Fat Quarter Shop shares with the online community in every possible way. The Jolly Jabber blog is full of projects and ideas, and the Fat Quarter Shop YouTube channel has grown into a remarkable resource for quilters. The Fat Quarter Shop also participates in several charitable endeavours each year. And of course, the Fat Quarter Shop has a tremendous selection of quilting fabrics to satisfy pretty much any taste in quilting, modern, traditional, or anything else. 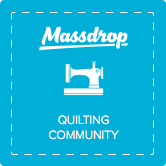 Massdrop is an interesting group buying community that has worked hard to provide great products for modern quilters. Not only do they provide great deals on items, you can participate by suggesting a product and voting on which deals you would like to see. There is also an opportunity to chat about drops on their page. Green Fairy Quilts features beautiful carefully selected pre-cuts, threads and notions. 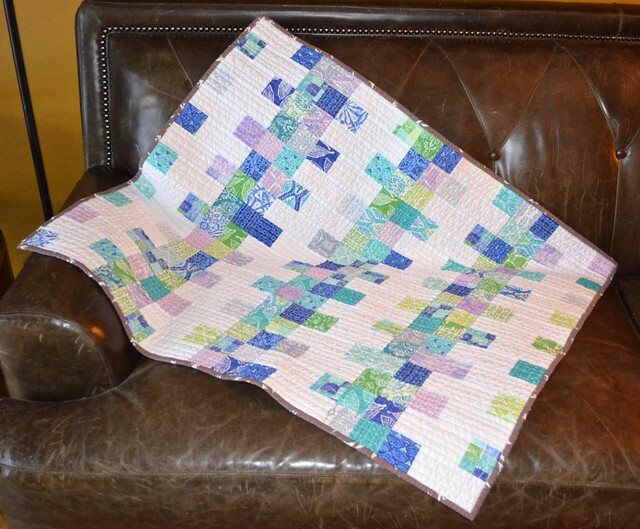 Judi shares her beautiful quilting and stories on her blog, Green Fairy Quilts, she writes patterns and books, and Judi and Clint are active in long standing charity work in Romania. 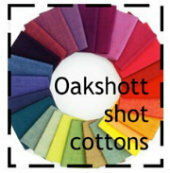 Oakshott Fabrics has been very active in connecting with the online blogging and designing community, especially on their Shotthrough blog. Oakshott has been putting together beautiful free pattern booklets and connecting with the online community for many different projects. And, the selection fantastic shot cottons manufactured by Oakshott continues to grow. 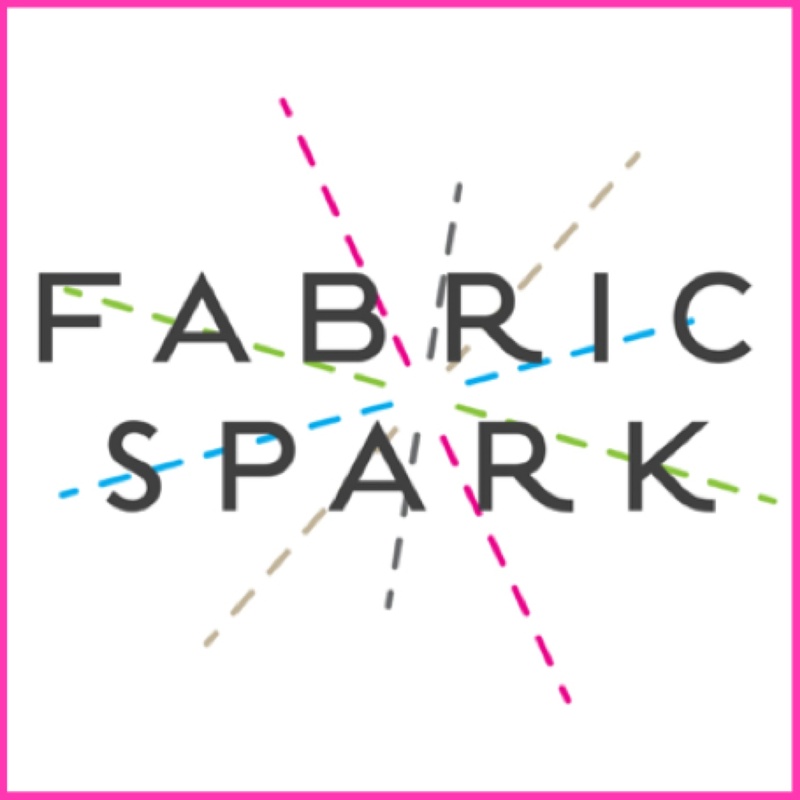 Fabric Spark is a relatively new Canadian online retailer. Daryl is focused on creating a carefully curated shop of beautiful fabrics which will spark your creativity - this is a shop to browse. Fabric Spark is also now carrying beautiful yarn from the UK. 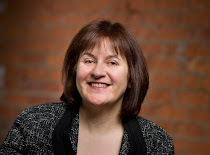 Daryl shares her ideas and news on the Fabric Spark blog and she is often collaborating with bloggers in various ways. Southern Fabric is a lovely on line shop which features a large selection of beautiful modern and more traditional quilting fabrics. 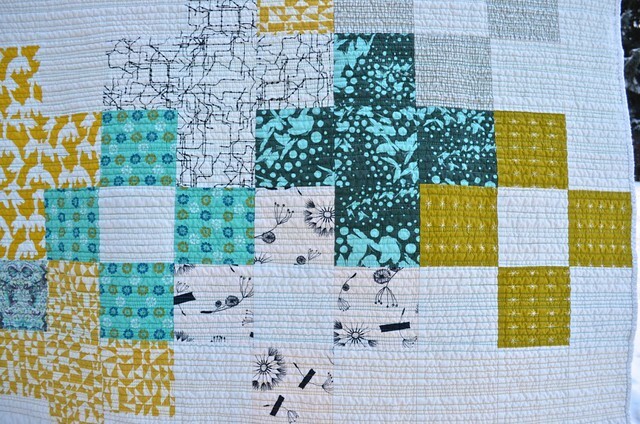 I have been enjoying the Southern Fabrics Blog where Aubrey has been sharing many new tutorials and ideas about quilting. Cindy at Fluffy Sheep Quilting runs a small and beautiful shop full of carefully selected fabrics from mostly, popular lines. 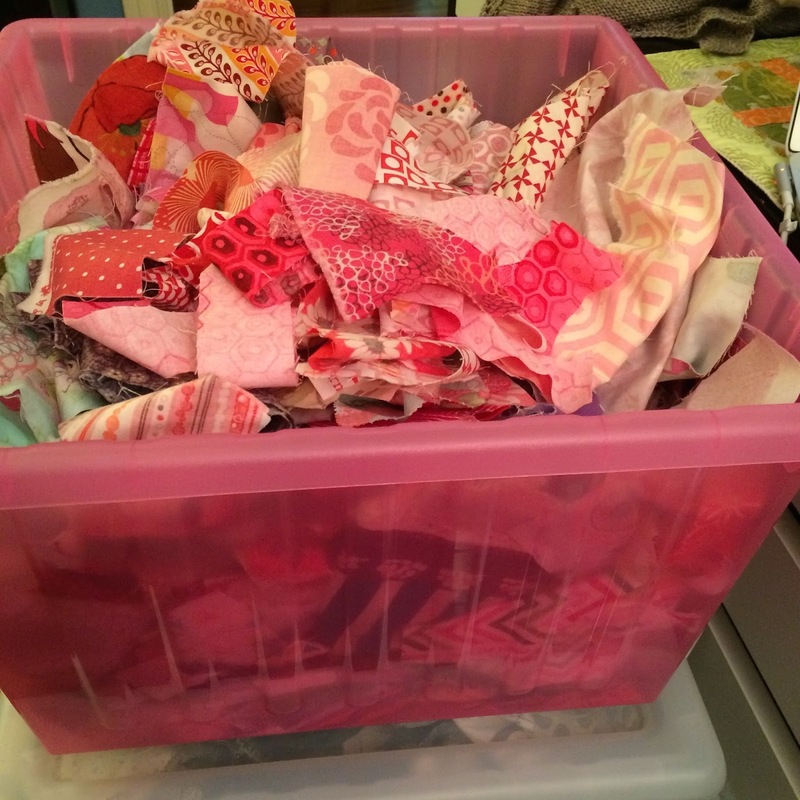 Cindy blogs at Fluffy Sheep Quilting and she often hosts charm and other fabric swaps to allow folks access to wider varieties of fabrics in a fun and affordable way. Becca over at Sew me a Song has a very unique curated selection of fabrics. She has few of the latest popular releases and instead her shop focuses on Japanese and other quirky or unusual fabrics. I love browsing her store, there is are so many interesting fabrics that she has located and made available. 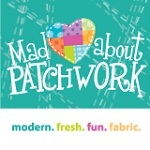 Mad about Patchwork is Canadian shop in Ottawa, Ontario, Canada which you can visit in person as well, for a lovely selection of modern quilting fabrics. 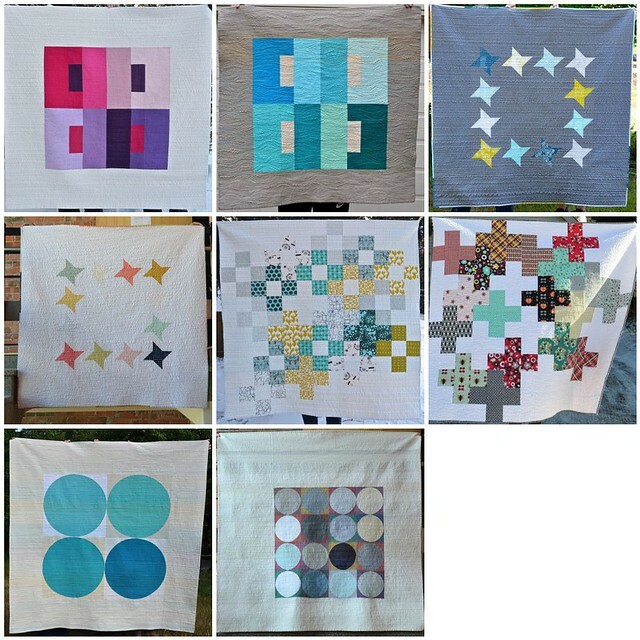 The Mad about Patchwork blog is a collaboration by the shop staff where projects and news is shared. Pam also hosts in person and online events, and gives back to the community by supporting local charities. 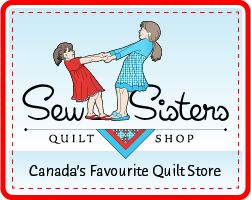 Sew Sisters Quilt Shop is a lovely Canadian shop which features a full range of fabric from modern to traditional. 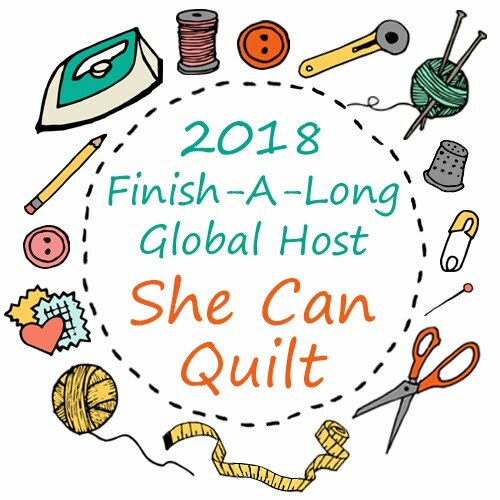 They participate in the online community through their blog, Sew Sisters Quilt Shop where they share tutorials, organize Canadian blogging events, and generally get to know us all. You can also shop in person at their retail shop if you are in Toronto, Ontario, Canada. 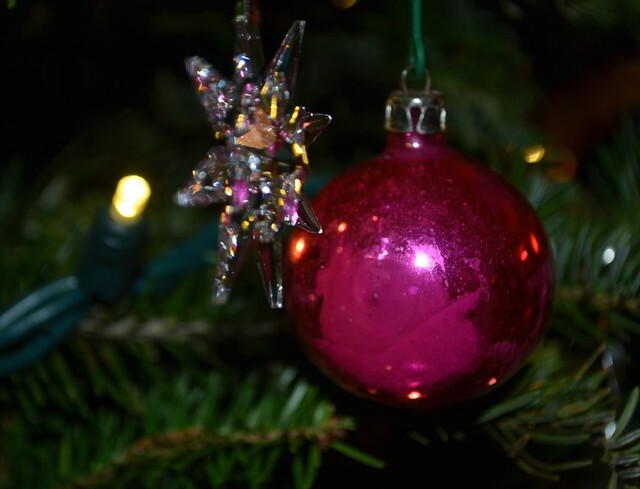 I hope you are enjoying the lead up to the holidays!